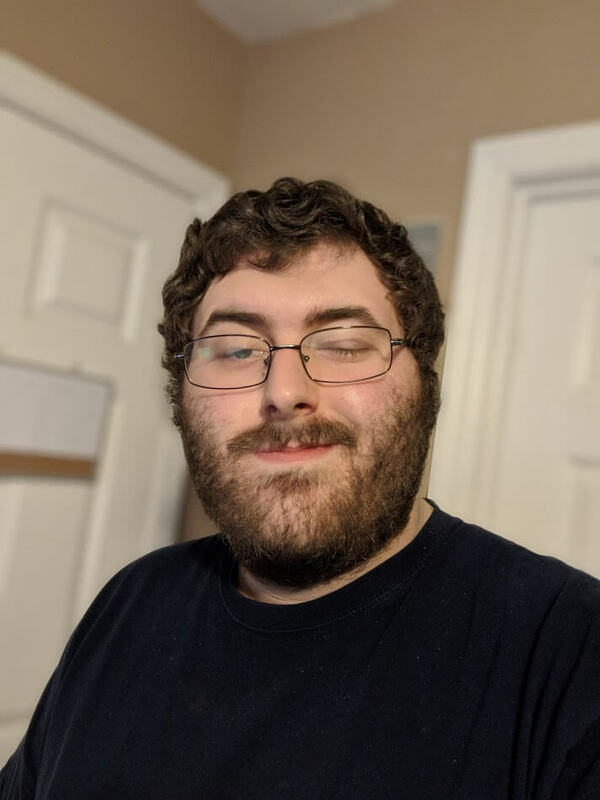 Okay, I’m really digging this new big bad change so far. 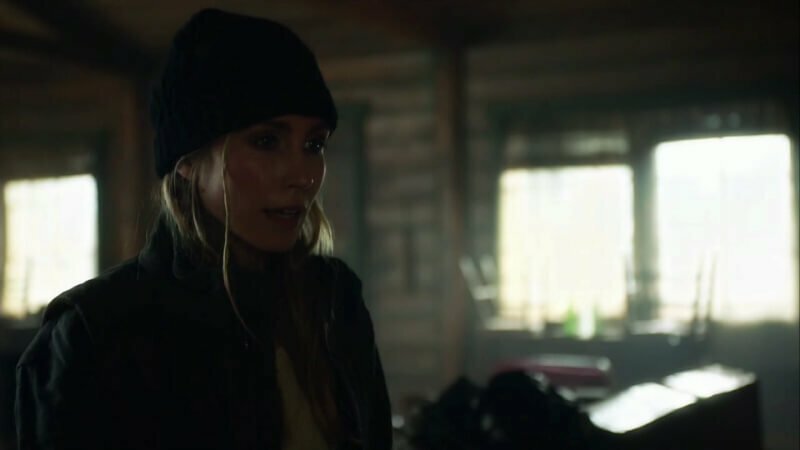 Sarah Carter, who plays this older version of Grace, portrays the Cicada character a lot different than Chris Klein’s version. She’s a lot less cheesy and her powers are more defined. 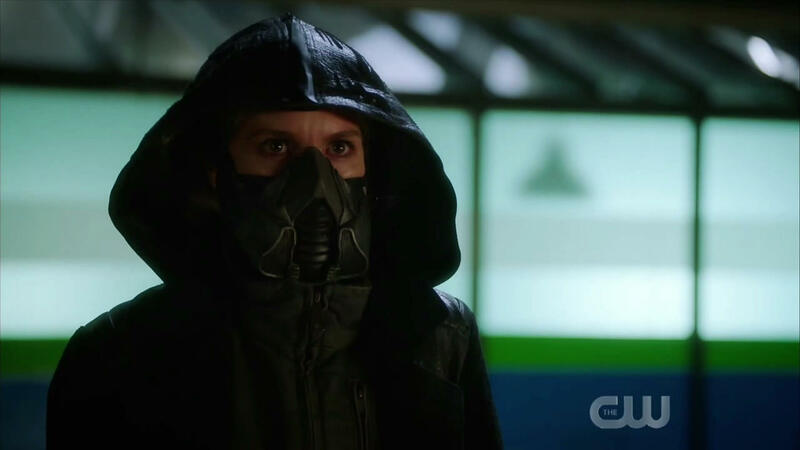 I can see why she would be able to take out Team Flash and her motivation for taking up the Cicada mantle is strong. This is a creative decision that could be just what season 5 needed. Season 5 hasn’t been bad. In fact, it has been pretty good so far. But, its villain has been the weakest link. Also, I actually liked Chris Klein in this episode. Part of my problem with his character is his raspy voice and over-acting in some dramatic scenes. Klein didn’t have to do the Nolan style Batman impersonation here and his overacting sort of went away with it. So what we got was a legitimately concerned father-figure watching out for the well-being of his surrogate daughter. Of course, it only makes sense that I would actually like him in this episode because he ended up as a casualty in Grace’s crusade against meta-humans. Although at a point in his speech, you can easily predict that Grace is going to kill Orlin, it didn’t make the scene any tougher to watch from an emotional perspective. For Orlin, he did all of this, including taking the cure, to keep Grace safe. Grace eventually grows up to be a monster because of Orlin’s killing-spree and he still pleads with The Flash to keep her safe with his dying wish. I may have disliked the character overall but I did find this aspect of his arc fascinating. Only time will tell if Grace can end up being worth all of this build-up but, this was a great start. It took a long time for Nora’s secret to be divulged to the team and surprisingly enough, Nora didn’t even get to share it. The back and forth between her and Eobard was perfect. I’m curious to see why Eobard’s hail mary plan was to instruct Nora to reveal their secret. I could easily see Barry rush to the future in a rage to confront him at some point in the next few episodes. Does he really not have an answer for Cicada? Or was his plan to rattle Barry’s cage again, leading him to do something reckless in the future? We don’t fully know yet and that’s apart of the fun when it comes to Eobard. I can’t wait to see how this shakes out. But that’s just Eobard. Let’s get into Sherloque’s speech. The reveal was excellently done and Sherloque stood out as the cocky detective who couldn’t leave well enough alone. He couldn’t let Nora reveal the secret first and what followed was a brief summary of what we all knew. The look on Barry and Nora’s faces said it all. 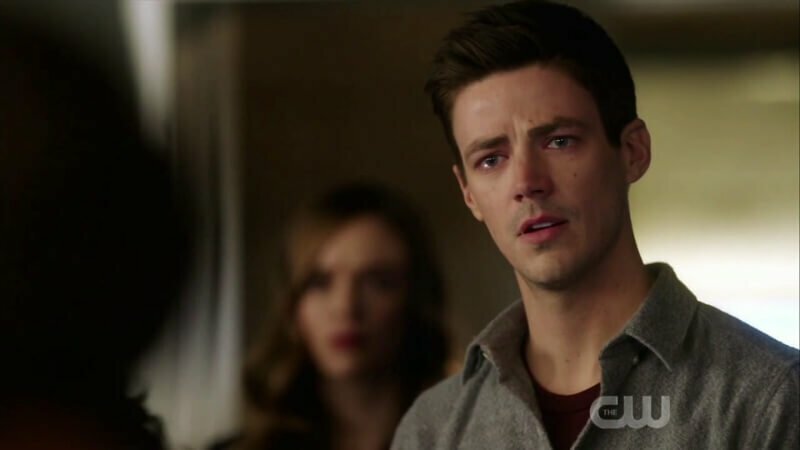 One of Barry’s faults is putting too much trust in people and one of the last people he would ever suspect of betraying that trust is Nora. On Nora’s end, she did all of this to protect Barry and ultimately save him. Instead, all she got for it was a trip to timeout the pipeline. Sorry, I just couldn’t resist that joke. All in all, this was an amazing ending with great performances from Tom Cavanagh, Grant Gustin, and Jessica Parker Kennedy. As I’ve said before in previous reviews, comedy on The Flash can be very hit or miss at times. This week they completely nailed it. I was dying at every scene with Ralph and Cisco. Especially the scene at Iris’ office (“I Peter Parker-ed her!”). Ralph, in particular, has been missing for a few weeks so this was a good way to bring him back on board. Joe even had a few funny one-liners as well. This would have hit a “Remarkable” rating for me but this whole cure consent thing is starting to get a little weird. So, you can lock up criminals in the pipeline and ARGUS without their consent, but you can’t give a cure out to serial killers without their permission? Also, Orlin is Grace’s guardian. He gave Team Flash consent to give her the cure last week. This isn’t a hurdle for the team, it’s just a plot hole so we can have a few more weeks of Cicada. Again, this version has been great so far, but it’s still a plot-hole nonetheless. Verdict: “Time Bomb” gave us our first glimpse of Grace’s version of Cicada and it was actually pretty exciting. This character is much more defined and has serious potential going forward. With Nora’s secret out, we’re sure to dive right into Eobard’s plan to change the timeline and what exactly is going on with Eobard in the future. The only thing that didn’t click was the cure consent aspect of the story, as it is starting to fall apart for me pretty quickly. Unfortunately, The Flash is now on break for almost a month. With the next episode titled “Godspeed”, I’m guessing we’ll be seeing an appearance from a fan-favorite speedster when it returns. Season 5 is starting ramp up in all of the right ways.